A number is called strobogrammatic if it remains the same when read upside down. Usually strobogrammatic numbers are made only of digits , , , , and . 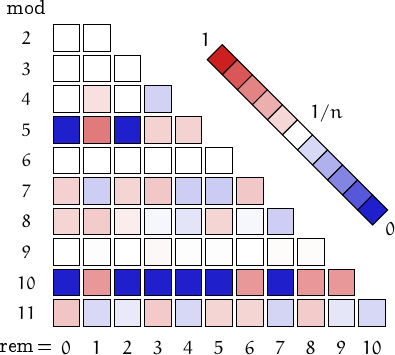 However, since the diffusion of pocket calculators, also the digits 2 and 5 can be considered valid by some authors. 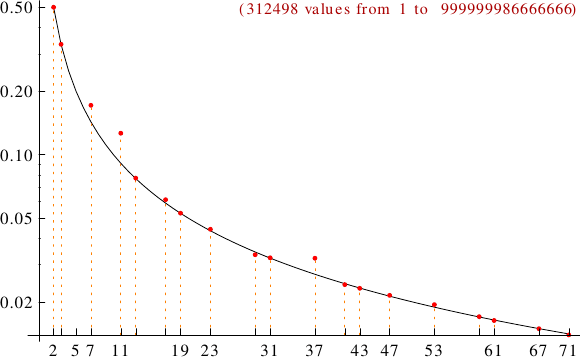 A graph displaying how many strobogrammatic numbers are multiples of the primes p from 2 to 71. In black the ideal line 1/p.